You can purchase the book for £17.99 plus pp or download a copy as an eBook (PDF format) by following this link or you can buy through Amazon and Lulu but they take a huge cut! This diary is being written to encourage other people to try writing. In my case I am writing my autobiography, but the basic principles wil apply to writing any sort of story. All through the years writing, and I started the manuscript five years ago, I kept notes. But it was only at a late stage that I realised that my experiences in attempting to get a book written and published could be of value to others either contemplating or already starting to write seriously. It also gives an opportunity to review exactly where I have got to and where I am going. I produced and have kept up, a similar Diary of a Watercolour Artist from when I started - almost every day now I get emails, mostly expressing thanks, from readers of that page. It is more than 10 years since I retired from the British Civil Service and I have always joked that I wanted to write my version of the book and TV soaps "Yes, Minister". This is not quite true - my story is not fiction, but is a true record of my career working as a scientist in the Civil Service. I enjoyed my time employed in the Department of Trade and Industry and want to communicate the highlights of the work. "Choose a job you love. And you will never have to work a day in your life" said Confucius. My autobiography describes the areas of policy making for which I was responsible, and the highlights of my career. Scientists do not spring from nowhere and women scientists are even rarer. I am unusual in having a full-time career for 20 years as a civil servant in parallel with 28 years working as a lecturer in the Open University. Even in the 1990s there was only a small percentage of women in the Senior Civil Service when I became Assistant Secretary in 1994. When I started my research for my memoirs I expected to find a lot of information on the Internet but I found there was very little which pre-dates 1996. It is still only on paper and in official files, and therefore difficult to obtain. On the other hand books offer continuity, copyright libraries are forced to hold them and publishing has never been easier or cheaper. I decided to write a traditional book, as well as making the information available on the Internet. It began when my father wrote his memoirs. He would not let anyone read them while he was alive, and after his death I typed them so my mother could read them. Some of his memories from when he met my mother and then fought in the Second World War found their way into my story. Having spent some 20 years writing in the Civil Service, I knew I could write well. Unfortunately being trained to write short sharp policy advice for Ministers was no training for writing an autobiography, where collecting all the facts and attention to detail mattered. I purchased a number of autobiographies by people I admired or who were active in Government in my time. It is a good idea to obtain books of a similar topic to that which you are writing, and to read widely. Mostly the books were bought cheaply and I became a regular visitor to my local charity shops. Retired politicians always seemed to write their autobiography and I struggled my way through the forest of information which their researchers had mined from the official files. I bought many other autobiographies, including Gandhi's autobiography when I visited his home in Mumbai. Most influential on me was the autobiography by Lord Young. He became Secretary of State for Trade and Industry in the late 1980s, and also had a successful business career. Most importantly, his writing style was very similar to mine. I was aware that few civil servants had published their memoirs, the most interesting being Stella Rimington, the former Director General of MI5, who published her story in 2001. Although she worked in a very different area, and at a more senior level because I was a Director not a Director General, my story was comparable to hers in many ways. Like Stella Rimington, mine is just a recollection of what seem to me to be the personal highlights of my career. Like her, it has been written without any access to any official files and I have never kept a diary. But there the similarity ends. My work was generally aimed at improving industrial competitiveness and much of what was done was made freely available to companies, and the policy implications were analysed widely and published in academic journals. There were published comparisons of UK industrial policy compared with other European countries, as well as comparisons with the USA, Australia, New Zealand and Japan. I have been able to incorporate a selection of that information. I continually updated my c.v. while I was working, and this gave me a firm timeline on which to hang the various pieces of my story. I have tried my best to write the facts about what truly happened, yet time passes and memories can become rosier. I deliberately sought out senior colleagues and asked them to read my manuscript and make their own inputs from their memories. I collected a few extra anecdotes, not all of which were able to be included, but it was all very interesting. The original idea was to just write one book. Most people seem to start writing at the beginning whereas I started in the middle, with my first job as a research scientist at the National Physical Laboratory (NPL). Having completed that chapter I decided to write the earlier chapters, including my school days, my studies at Oxford University, and my short time at CERN - the famous high-energy physicals laboratory in Geneva. My father's story, and the memories of my mother who is still alive, gave me lots of material about my early years. When I was writing I aimed for 1,000 words each day, and kept a word count so that I could see progress. There were also many days when I just sat reading and making notes, or browsing the Internet, and wrote nothing. This early story quickly grew to be some 55,000 words and is the size of a small paperback novel - with 300 words to each page there are over 180 pages. So at the end of 2006 I decided to divide my autobiography into two pieces and to give the title 'Quiet Quadrangles and Ivory Towers' to this first part which covers my time up to 1981 when I left the NPL. 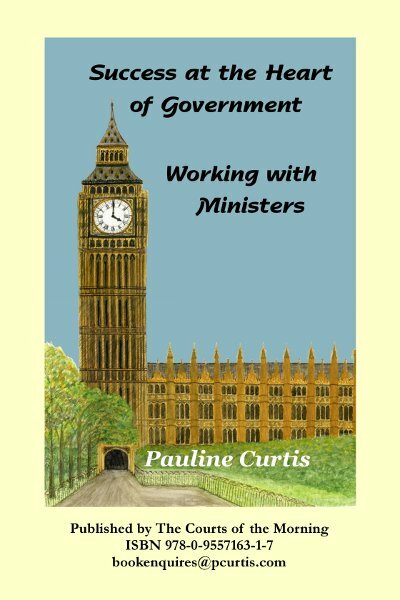 I gave the provisional title 'Working with Ministers' to the second part which covers my career from 1981 to 1996, at the heart of the last Conservative Government's industrial policy. One day, on my way home from Oxford I went into the Oxford University Press building and enquired who I should contact with an interest in publishing my manuscript. At that time I was still thinking of writing one book, not two. I was given a name and went home to email her with a summary and short extract. The friendly rejection letter arrived a week later. I realised I needed to learn how to get it published, so looked for suitable advice in Blackwell's Bookshop. I found just one book, called 'Getting it Published', which I purchased. Through an ex-DTI friend I heard about the Writers' and Artists' Yearbook, which I looked at in the library and then ordered my own copy. I decided that my next step would be to find a printer, not a publisher. 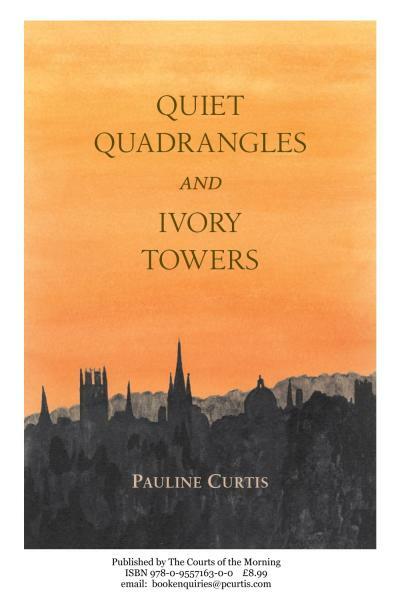 I decided to self-publish 'Quiet Quadrangles and Ivory Towers', because it was clear to me that there was no significant commercial market for the story. Each autobiography I have read always begins with the famous person as a child, and that part is always so boring. I am not famous, so my story is extremely boring, except to people who know me. No commercial publisher will want to take a manuscript which will only sell a few hundred copies. Changing all double quotes to single, except within quotes. Using lower case for e.g. civil servant, government, minister etc. Being consistent with punctuation in relation to quotation marks. 'I think the minister is a silly fool,' he said. But you might think the minister a 'silly fool'. I did all this, except for the use of lower case for Government, Minister and the Civil Service. Having always used capital letters I was not going to change now. And if Secretary of State is in capital letters, so equally should be Minister of State. When I started to read the manuscript carefully I noticed inconsistencies in my use of dates and times. I wondered what was the proper notation and reached for John Simpson's autobiography. He is a professional writer and should know. I quickly found he had a time which was 5.30 in the morning, and his date notation was 19 November. I started again reading my manuscript and making the necessary changes. I had to seek formal permission from the Department of Trade and Industry to self-publish. NPL is a research laboratory which was then part of the DTI. Although it is 25 years since I left the NPL and my research work there has all been published, I was told that my manuscript had to be approved by the DTI Permanent Secretary. Having sent the manuscript in May 2007 I received formal permission to publish on 21 August. I added the proper form of words to the book 'These memoirs are published with the permission of the Permanent Secretary of the Department of Trade and Industry and the Cabinet Office'. In July 2007 the Department of Trade and Industry was suddenly divided, and the Permanent Secretary, Sir Brian Bender, moved to the Department for Business Enterprise and Regulatory Reform (BERR). Having received permission on 21 August I emailed the text to Jon Carpenter on 22 August as a Word .doc file and waited to hear of any problems. Instead of simply typing the Chapter titles I had used Headings. This had the benefit for me of automatically making the contents Table, but was a problem for him for typesetting. I had also included two small tables which had to be typed again. Jon had given me an estimate of the cost but this was extra effort on his part. Fortunately I had decided to omit any photographs, and this then reduced the work for him and the costs for me. He would have scanned my photographs himself, although we have our own scanner. I also added the front cover verso, the page with all the ISBN numbers and publishing information, as well as a dedication page. On 15 October I received the proof by email, and sat down to read it. There were a few little corrections, mostly layout, and I printed the offending pages and marked up the corrections. On 25 October I had the second proof arrive, which was perfect. Meanwhile I had to concentrate on the design of the book jacket. What did I want which would be both eye-catching and relevant? Again I went and looked at a number of books, and liked the jacket of a novel by Colin Dexter, Death is now my neighbour. I decided I would have a picture of Oxford on my front cover. I did not want to get involved with using professional photographs and making payments for their use. Instead I went to Oxford and took some of my own photographs. At St Hilda's College they gladly gave permission for me to use any of my photographs with no charge. I still had not achieved the image I wanted, so decided to take up my watercolour paints. 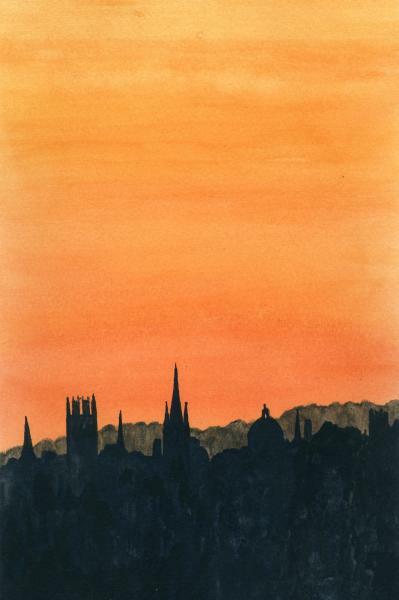 I painted a picture of the Oxford skyline which was the same size as the book and then scanned it and emailed it. Jon asked to have the original painting so he could do work on the colours, and it was delivered by hand to Charlbury. For comparison here is the original watercolour picture, and the final front cover of the book. The front cover was a .pdf file which we also converted to a standard .jpg file so it could be sent to a photograph processiong lab and made into a T-shirt. I wanted to have something eyecatching to wear for when I did the book launch. I also made postcards by taking the image and adding a few lines of text with my details, the ISBN number and an email address for book enquiries. The Writers' and Artists' Yearbook explains about self-publishing. For a book to be genuinely self-published, a name designated by the author as her publishing house must appear on the copyright page of the book as 'publisher' and the book's International Standard Book Number, the ISBN, must be registered by the ISBN Agency to that author as publisher. I initially saw no benefit in applying for the minimum set of 10 ISBNs, although I collected the application form from the Internet www.isbn.nielsenbookdata.co.uk. With the first book from a new publisher, it is necessary to send the copyright page of the book with the completed application form. Should I just have my name and home address on the copyright page as publisher or should I set up PCurtis Press, or even a limited company ? I was not very comfortable with using my own name and address, and I can see why author's try so hard to find a publisher to deal with sales marketing and distribution. I finally decided to post off my form and purchase 10 ISBNs. It cost £84 + VAT, which was not expensive. I will need an ISBN if I wish to try and sell my publications through bookselling chains or Internet booksellers. The ISBN also provides access to Bibliographic Databases. Each new title has to be described on a Title Information Form, which should ideally be submitted some 6 months before the publication date. Fortunately the form can be downloaded and then submitted by email. The book jacket is also submitted separately by email. It will take 4 to 6 weeks for titles to be fully listed on the Nielsen database and I will be alerted to new orders by email, and I can then collect orders online. All books now have the ISBN number in barcode form on the back cover and I was tasked with making one. I did some research on the Internet and found out that it was not as simple as one might expect. I found after many searches a few demonstration barcode programs capable of generating the new ISBN 13 format barcodes and some explanations of what is required and useful background. 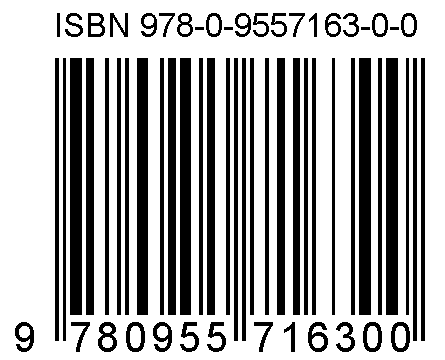 An example of an ISBN 13 barcode is on the left. Barcode Maker 5 - the first program I found with a free 30 day trial and very comprehensive. A big download and needs to be installed with a reboot. Again a pile of text is put across the file if saved as a .tiff file but there are many options including a lower resolution .bmp without added text. If you want to buy the registered version it is cheaper than Barcode Blitz. Yaquinapress - a site covering use of the Lulu.com printing service which has a number of useful pages including the one linked here which covers making barcodes suitable for Lulu and hence any other book. It references a free online barcode maker which is referenced below. Bookland - has a free online barcode maker which produces an .eps format file with few adjustments possible. When one looks at the back cover of a few books it is rapidly apparent that every barcode is different in size, aspect ratio and the associated text and numbers. My research has led me to believe that there are ISO standards defining much of this and that there are 10 standard scaling factors with the default height of the barcode being 24.5 mm (not 25.4 or one inch) - the guard 'characters' at either end and in the middle are higher. The scaling allowed is from approx 82% to 180% . EAN - European Article Number a superset of UPC - which is now The internation standard. The barcodes produced need to be saved and scaled in a way that they remain sharp - they should not be in a compressed format such as .jpg . Bitmap files and .png files should be OK. The .eps files are vector graphics which have to be converted to work on in Windows. It is far better to get the size right at the start which can be done best in Barcode Blitz. If the files are too big reduce the colour depth in a graphics program such as the free IrfanView or the OpenSource GIMP. The final result as it appears on the back cover is below. Having produced the barcode ourselves we then found that Jon would have produced it for me. It also seemed to be important to have a good author photograph, and a short career summary. The short career summary was going to be easy, but I had no photographs of myself when I was young. There were lots of family photographs but they were faded and tattered. 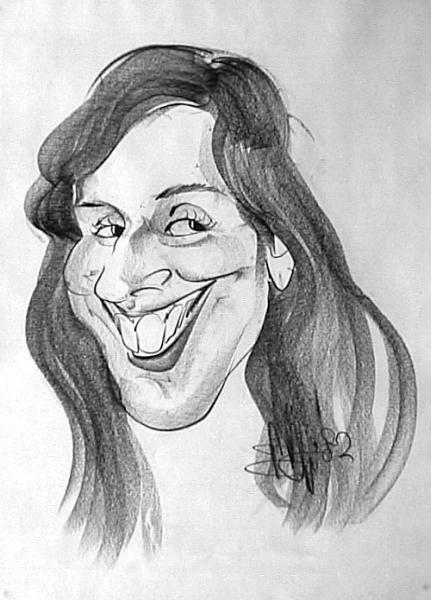 As an alternative I did have a cartoon, drawn in Tenerife in 1982. This was the right vintage, but far too large to fit on my scanner, or Jon's. So we took a photograph and then reduced it to the correct quality for an image which was approximately passport photo size. I collected my three boxes of brand new books from Jon on 26 November, and to my delight the cost was slightly less than he originally estimated. It was time to fill in the new title information form, downloaded as a Word document from www.nielsenbookdata.co.uk and sent by email to newtitles.book@nielsen.com. I should have really sent in the form 20 weeks ago. Most of the information was straightforward except for the BIC classification which I had to find by visiting www.bic.org.uk. My book is memoirs, not a full autobiography, and so my classification is BM BGTA. BM is for memoirs and BGTA is for autobiography in technology, science and engineering. The jacket cover was reduced to the required size, 648 pixels high and 100 dpi, and then sent as a .jpg file. Under the Copyright Acts the British Library, the Bodleian Library at Oxford, the University Library at Cambridge, the National Library of Scotland, the Library of Trinity College Dublin and the National Library of Wales are all entitled to a free copy of the book which must be sent to them within one month of publication. The British Library legal deposit office is in Yorkshire whereas the Agency for the other legal deposit libraries is in London. The next stage is to start posting out their free copies. I have recently been researching in the British Library in London, so delivered the copies by hand. I have a list of others who should receive free copies with their Xmas cards. The book weighed in at 275 grams, and is within the dimensions for a large letter, so will cost 75p each copy to post. 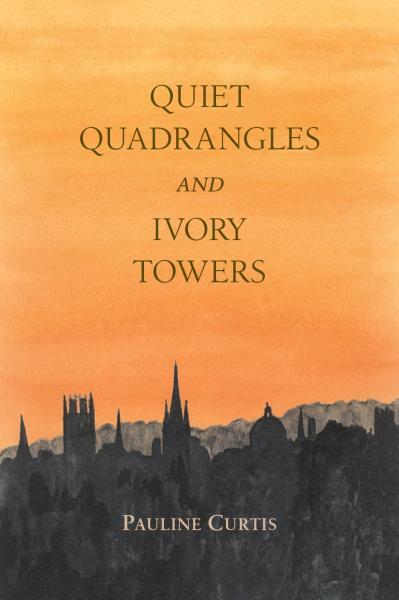 Quiet Quadrangles and Ivory Towers, published November 2007. 10 Will it be Oxford or Cambridge ? Oxford has many beautiful buildings and its most impressive piece of classical architecture is the Radcliffe Camera, located in Radcliffe Square and bounded by All Souls and Brasenose Colleges and the University Church. The building was funded through the estate of the physician Dr John Radcliffe (1650-1714), and constructed between 1737 and 1748. It is a circular domed building and features in most aerial postcards of the city of Oxford. The Radcliffe Camera comprises an Upper Camera Reading Room and a Lower Camera Reading Room. When I first started writing my second manuscript I spent a lot of time in the Official Papers Reading Room which is underground and only accessed via the Lower Camera. It was a damp dark and dismal room for research work compared with the two beautiful reading rooms above ground, and most of the information was kept on sliding racks which had to be shoved and pulled about. I was fortunate that past Alumni of the University are able to have a Readers card and the library contains a full set of HMSO Official Papers, Hansards, as well as many other useful Government publications. It claims to have a comprehensive collection of British parliamentary papers from 1801 to the present, as well as earlier records of the proceedings of parliament and non-parliamentary paper. Once I found the DTI and Cabinet Office sections it was efficient, and I did not need to order any information from archives offsite. In dusty cardboard boxes underground I found leaflets and brochures describing some of the schemes which I had initiated. There is also a complete set of the annual Civil Service Yearbook, although it is of limited practical use because, like any book, it is hopelessly out of date by the time it is published. It does however give a historic window on who was doing what, and gives accurate names for the various Divisions, Branches and Sections into which the DTI was divided. Inevitably there were a few gaps in their collection, due to individual civil servants producing and printing information without formally publishing it with an ISBN. I was guilty of this myself when I was working and I am sure that others did the same. However, I noticed I had items in my personal collection of papers which were not in the Oxford system, and I offered to donate these. To identify gaps I had to make a list of my material to enable the librarian to decide which items would complete their collection. This was useful when I produced the Reference list at the back of my book. Oxford is a very special place for research and I decided that I would donate the profits from my second book. I had already done this for the first book. The book was completed on 20 November 2007 and was sent by email to BERR to obtain permission to publish. It was almost twice the size of the first book, at 110,000 words. Initially I hoped to find a publisher for this, but if not then I knew we had the experience to go about self-publishing. 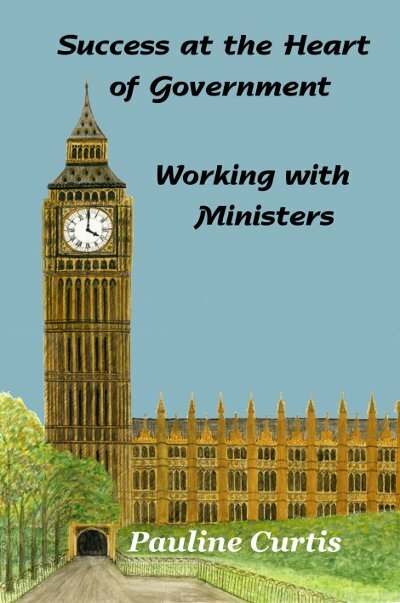 'Working with Ministers' was written for a more academic audience and is of a more factual and technical style, with no apologies for the technical jargon. There are many extracts from publications and information leaflets, and like all academic writing, I have an extensive list of references, mostly HMSO and DTI publications. I retired from the DTI in 1996 and for my whole policy career I was working only with Conservative Ministers. So at the last minute the final title of the manuscript which I submitted was 'Working with Conservative Ministers'. I was hopeful that Working with Conservative Ministers had good timing and real commercial potential, and I attended the London Book Fair in April 2008 at Earls Court. I had done my homework beforehand and arrived with a list of the publishing organisations I wanted to contact. Everyone was friendly but the overall impression I received was that my best chance of success was to self-publish. I was not famous, so who would read my book? In August 2008 while we were travelling on holiday on the Cunard liner Queen Elizabeth 2 I gave a lecture about writing and publishing memoirs, and was able to sell copies of my first book in their bookshop. Many other passengers were interested in publishing and if we had been able to offer a simple guide to self-publishing then we would have sold a lot of copies. Having submitted the manuscript in November 2007 it was not until July 2009 that it was finally agreed that I had permission to publish the book. An abridged version of what happened is in my book, Chapter 34 Epilogue. As part of the process I had to confirm that everyone who is mentioned by name in the book, and about whom comments are made, had read the text and were content. In addition there is now a formal process for using extracts from Crown Copyright publications, and I had included the Civil Service Code for 1996, 1999 and 2006 as an Appendix. I had also used extracts from other Crown Copyright material elsewhere. I duly registered, which was a straightforward and quick process, and then added the proper wording that they were produced under the terms of the Click-Use Licence. Both these concerns are specific to my memoirs and should not be of general concern, although every publisher needs to be aware of copyright issues. So, in July 2009 Pete and I again went to visit Jon Carpenter at Charlbury. I wanted to retrieve my original watercolour painting for Quiet Quadrangles and Ivory Towers, and to discuss the new book. Jon has always been helpful and I hoped he might be interested in publishing the new book, or have practical suggestions for the next steps. He showed me a batch of books which had just been printed by Antony Rowe of Chippenham, and recommended them as a short run printer. When I attended the London Book Fair in 2008 I had visited the stand by the CPI Group, and Antony Rowe is part of that empire. We were lucky that we had used Jon and had in Quiet Quadrangles and Ivory Towers a good example of best practice to start from. Careful reading of the text of Working with Conservative Ministers identified a number of spelling and layout issues, and the first step was to divide the book into three parts. Part One: Managing myself, Part Two: Managing Others and Part Three: Leadership and Management. There are several layout differences between the two books. Page numbers in the first book had been at the top corners of pages; here they were centred at the bottom of pages to allow more space for the headers. In the first book each page, excluding the first page of any chapter, had the book title as a header; here the book title was on the even (left) pages and the chapter title on the odd (right) pages. It made navigation of the book much easier. Both books are sized as Royal, which is 234mms by 156mms, so they sit well together on a bookshelf. The font used is Garamond. 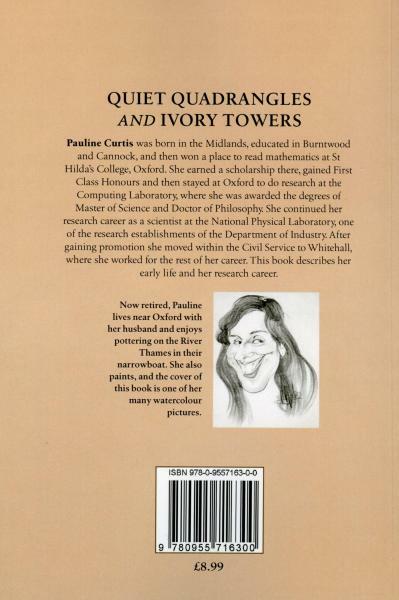 Quiet Quadrangles and Ivory Towers has 148 pages of text, whereas Working with Conservative Ministers has 228 pages, plus 18 pages of Front Matter (copyright, acknowledgements, contents, preface and introduction) and 54 pages of Back Matter (references, abbreviations and acronyms). Front and Back Matter are the terms used by the professional publishers. I had never been sure of the best title and now it reverted back to Working with Ministers. But I was proud of my success as a civil servant, and so the enlarged title became 'Success at the Heart of Government. Working with Ministers'. 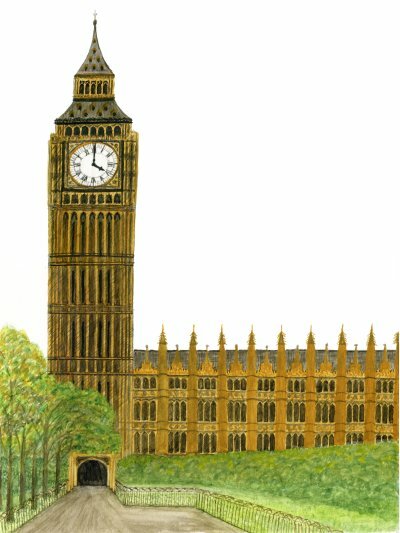 Originally I had a book cover in mind; it is a pastel drawing of a snowman carrying a civil service briefcase with a red double decker bus and the Houses of Parliament in the background. It was the DTI Christmas card in 1987 and when I asked BERR about permission and copyright I was told that there was no evidence of the ownership of the copyright so I would be unable to use the drawing. In any case, the snowman is obviously male and I would want to change it so she is wearing a skirt. What then is an alternative image which would be eyecatching and immediately meant Whitehall and Westminster? It was obvious - Big Ben and the Houses of Parliament. I had taken several photographs when visiting London which were a useful starting point. I sat at home with my watercolour paints and started to paint. When I began I was not sure exactly how it would look, so the background to the painting was not coloured. I did not know where the sky would end and the buildings begin. The clock on Big Ben was painted to read 4 pm, the typical time for tea. Unfortunately although the picture fitted onto the watercolour paper the completed image was too large to fit on our scanner and had to be scanned in two parts and then assembled. It then took more time to artificially add a clear bright blue sky. I was tempted to make a blue wash over the original watercolour picture, but did not have the nerve in case I spoiled all my work so Pete added the background for the text electronically! Just as for the first book, the front cover was also used as a basis for postcards and for a T-shirt. The style of the back cover page of the first book was a success and so was repeated again using the cartoon from 1982, but with a different career summary. The ISBN and barcode were fairly easily added. We had been recommended Lulu, and so while Pauline worked on the book, Pete experimented with Lulu. More details of his progress will follow. After much effort, we sent the print file to Lulu and waited to see what our first two copies (one each!) would look like. They cost £20 including their extortionate postage. Response was very quick and we got back from a short boating trip to find the books sitting on the back doorstep. Fortunately it had not been raining. The two copies had been printed by CPI Antony Rowe, but at Eastbourne not at Chippenham. Compared with the printing done for Quiet Quadrangles and Ivory Towers, by LPPS Ltd of Wellingborough, the manufacturing looks very similar, except the new book has less glue to join the cover to the paper inside and the paper is slightly thinner. Whether that will be a problem it is too early to say. There were just minor modifications, essentially moving text so that there were not too many widows and orphans - in my case I suffered from single lines at the bottom of pages. The book was not quite as thick as we had initially expected so the font size on the spine had to be reduced and the text rearranged to look esthetically pleasing and we sent off a new version for printing one single copy. It is very important to check what the book will look like before committing to printing any serious quantity. If the spine is not right nobody will grab it from the shelves and if the cover and back do not stimulate nobody will look into it further. The new book was good and the two books looked nicely matched when placed together on our bookshelf. Twenty five copies were ordered to send out for review (and also free proof reading) before committing to the final printing. The pricing for postage and packing varies in steps, and it is useful to explore where these steps are. For my book ordering 25 copies twice was actually cheaper than ordering 50 copies because of the strange calculations of delivery charges, and the time for printing was halved too. Small orders are also done in 3 to 5 working days whereas between 25 and 50 copies it becomes 6 to 8 working days. Lulu also offer a useful Print on Demand service for customers which means I will not need to fill the house with boxes of books. The formal publication date was provisionally set for November 5, which I felt was an appropriate day. I also wanted to make sure it was available well before the next election. The first book, priced at £8.99, resulted in a predictable financial loss. Selling directly from home and donating £2 per copy to St Hilda's College, Oxford resulted in just a small loss; selling through bookshops who expected a discount of between 40% and 50% was obviously impractical. I did sell copies to bookshops at the 40% discount, very aware that as a commercial transaction it was at a loss. The price set for 'Success at the Heart of Government. Working with Ministers' had to be much higher and I researched the prices of books carefully, eventually chosing £17.99 which was just enough to break even for sales via bookshops, given that the cost of printing each copy for small volumes is over £6 to which has to be added postage and packing. Since 2007 postage costs have increased and I was pleased that the book with one or two A4 sheets of paper still just fits into a D-sized bubble lined Featherpost envelope. It is slim enough to count as a Large Letter, weighing in at under 500gms, and in November 2009 cost £1.24 for first class postage. In mid-October I spent a full day writing letters and emails and posting advance copies to friends and colleagues for review. I next prepared a Press Release which I sent to journalists who review books for the national daily newspapers and to other contacts. This is just a single A4 sheet about the author and the book, including the bookcover. In selected cases the Press Release was followed by a free copy of the book for review. The next step was to organise the launch of the book for November, and persuade book shops to let me in for a book signing. A number of 'Services' are required if one is to self publish books and sell them. The Publishing and Payment services both obviously have to be able to handle payments to you and be linked to a bank account so the proceeds can be passed to you. They need to have good and visible internal accounting with transactions details stored for a long period, preferably with the ability to do analysis. A Print-On-Demand (POD) self-publishing site preferably with country specific versions but with online worldwide retailing - the service by which others are judged is Lulu. A means to make and receive payments for internet transactions. Paypal is the best known service for individuals and is now widely used and is the service by which others are judged. Email, preferably a separate account used only for the publishing and other sales activities as email address is also used as a login address for some services and/or is available to customers. A full bank account which allows direct debit access to be set up and trans fers in by BACS, CHAPS etc transfers. It is best if this has internet access as some of the validation techniques need a rapid response. There are advantages if this is again a separate account to reduce the risks of internet fraud and also make accounting easier in the unlikely event one makes a lot of money. Lulu enables one to upload files in a number of formats as well as a create or upload a cover page some of the details have already been covered above but this section will expand that to the actual use of Lulu. Before you can start you have to create an account but even before that most of the help files are available. Once you have understood exactly what you need the actual production of a book on Lulu is fairly straightforwards but you should have a practice run before you produce the final version as changes become more difficult as you reach the end stages of the process. Repeating the production process with existing tested files to get a clean copy for printing a first copy for printing then takes only a few minutes. Once you have finalised the book enough to print it become slightly more difficult to make changes, in effect you are then under a version control system and although it can be withdrawn and hidden you can never completely remove a book that has reached that stage. You should hovwever always produce one or two physical copies before committing to a larger print run or taking the next stage and making it available to everyone via Lulu as there may be a few errors which are not obvious on the screen - we made two sets of changes following printing, the first was a few cases of number being use as say 9 when convention says it shold be nine and after that correction was printed a we found that version had a slightly different size of page number in the appendices to the main body of the book. Neither would have been a cause to reprint or add a correction to a conventional book but print on demand allows such minor corrections to be made. However if you make anything more than the most minor correction after it is fully in print and your copies have been sent to the copyright libraries then a new ISBN is required. If you are going to publish a book through Lulu which they distribute and which has an ISBN they impose some additional quality control as their name is on the line. In particular the final PDF file which is sent to the printer has to be generated by genuine Adobe software or by their own convertor from other formats. This convertor allows you to add together several files and merge them. We are using the OpenOffice word processor which outputs an acceptable for most printers but we have used there convertor to put a 'stamp of approval' on it by appending a blank page from another file at the end - the blank page is required by most printers so this does not increase the length in practice. So, at the end of the day, we have to upload three files to Lulu as we work through their publication Wizard, The PDF of the books text, a file containg a blank page to terminate the book, force checking of the PDF and producing a PDF which is hopefully approved for any form of sales package or publsher and the last file is the cover, again in PDF format. Paypal is a very popular way of making and receiving payments and money transfers through the Internet. PayPal serves as an electronic alternative to traditional paper methods such as checks and money orders. A PayPal account can be funded with an electronic debit from a bank account or by a credit card. The recipient of a PayPal transfer can either request a check from PayPal, establish their own PayPal account for the deposit or request a transfer to their bank account. PayPal is an example of a payment intermediary service that facilitates worldwide e-commerce. Whilst PayPal is a wholly owned subsidiary of eBay with corporate headquarters in the United States, it also operates as a Luxembourg-based bank with appropriate regulation within the EU. Currently, PayPal operates in 190 markets, and it manages over 184 million accounts, more than 73 million of them active. PayPal allows customers to send, receive, and hold funds in 19 currencies worldwide. It handles about £40 billion of transactions per year. Personal account, primarily intended for Users who simply wish to send payments. Each type of account has different features, including different sending and receiving limits. When you sign up on their site you are seemingly only offered the choice of Personal and Business accounts but that is because the Personal and Premier accounts now seem to have converged and in practice you seem to get an account which is able to receive payments - this account also allows you to use some of the 'Merchant' facilities which means you can set up for sales of one off items (rather than a full emarketing service with shopping basket etc) on your web site or by a link in an email. When you first set up the account everything is in place and useable but there are a number of restrictions on the amounts that you can receive or send per transaction or per year. These restrictions can then be lifted - the first and essential step is to validate the link with your nominated bank account. Validation is achieved by PayPal making a series of very small transfers into your account which you then have enter on the PayPal web site within a time limit. These transfers take several days to arrive so you need internet banking to keep checking or access to telephone banking or via an ATM. This raises the limits to around £1000 per year beyond which more verification is required because of money laundering etc regulations. You also need to fill in some information which they call business information but has the ability to handle an individual - this needs information on your expected methods of sales, average transaction sizes and monthly transaction estimates. When starting up with a low level of transactions two of the Merchant services are appropriate - Email Payments and Website Payments Standard. Both are available from a Premium Account. Email Payments allows you to accept payments by credit card, debit card and bank transfers all by email. You don't need a website – you just send an invoice or request for money from PayPal's website to your customer's email address. This feature was very useful when an invoice was received unexpectedly for purchase of one copy of a book from a bookshop in Norway which wanted to pay by Mastercard. It was straightforward to set up a Request for payment which was sent to the customer's email address. Then they just clicked on a link to pay via PayPal; they don't even need a PayPal account to pay, and the correct payment can be received in a specified currency. This Service allows you to use a tool on the PayPal web site to create a button for your web site which is linked to an payment form on the PayPal web site which allows customers to purchase using credit cards, debit cards or a PayPal account. You specify all the basic information on the PayPal web site such as the item name, price, postage etc. and the Wizard will produce the HTML code to copy onto your site. There is considerable customisation possible and you can, for example, use your own image for the button and specify two web pages to be transfered to following successful and unsuccesful transations. It is reached by Paypal Web Site -> Login -> Merchant Services -> Buy Now Buttons (at right of section headed Website Payments Standard). The advanced options also allow you to personalise the payment web page on the PayPal site using some additional codes put into a section called Add Advanced Variables in the third (optional) step when creating a Buy Now Button. image_url - The URL of the 150x50-pixel image displayed as your logo in the upper left corner of the PayPal checkout pages. cpp_header_image - The image at the top left of the checkout page. The image’s maximum size is 750 pixels wide by 90 pixels high. PayPal recommends that you provide an image that is stored only on a secure (https) server. cpp_ headerback_color - The background color for the header of the checkout page supplied as a case-insensitive six-character HTML hexadecimal color code in ASCII. cpp_ headerborder_color - The border color around the header of the checkout page. The border is a 2-pixel perimeter around the header space, which has a maximum size of 750 pixels wide by 90 pixels high. Valid value is case-insensitive six-character HTML hexadecimal color code in ASCII. cpp_payflow_color - The background color for the checkout page below the header. Valid value is case-insensitive six-character HTML hexadecimal color code in ASCII. 8 What are the competencies of a DTI Senior Manager ? BS 5261-1:2000 Copy preparation and proof correction - Part 1: Design and layout of documents. I would be very pleased if visitors could spare a little time to give me some feedback - it is the only way I know who has visited, if it is useful and how I should develop it's content. Any additional information which you have and I can use is appreciated too. I would be delighted if you could send comments or just let me know you have visited by sending a quick Message to me.